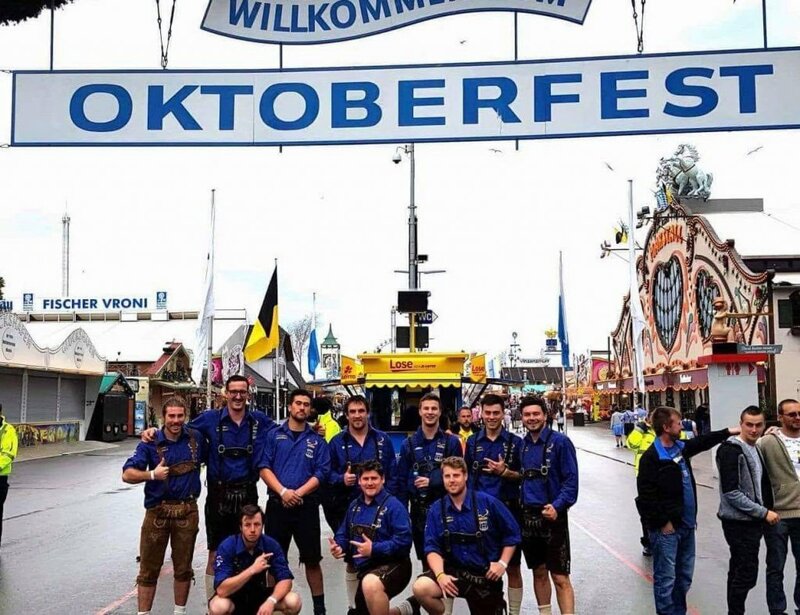 Members of the Leamington Rugby Sports Club enjoyed a quick stop at the Oktoberfest Sevens during their tour of Europe. A squad of 21 members of the Leamington Rugby Sports Club have arrived home safely after a tour of Europe. 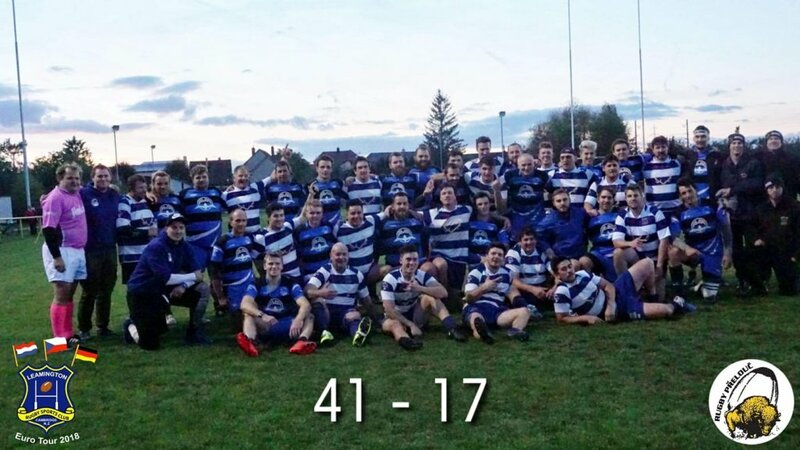 The 2018 Euro Tour over September 22 – October 19 was part of a three yearly rugby tour the club embarks on to play against some of the world’s finest rugby nations. The last one was in 2015, travelling to Great Britain in conjunction with the Rugby World Cup. Before that was Argentina in 2012 and Canada in 2009. The players and supporters thoroughly enjoyed this year’s “fantastic” tour, starting with a match against Amsterdam Athletic (played 10-a-side at the hosts’ request). Leamington won 55-5 and had a great night at the club, staying for a few days to enjoy the city of Amsterdam before a short flight to Prague. There they played against Kralupy, a “new team that is very spirited but struggled against the experienced NZ team,” club member Dave Peters explained. Leamington won 71-0. The Leamington team after their winning match in Prelouc. A long bus trip the next day brought the team to Nuremburg for a quiet night prior to playing in the Munich Sevens. “We accounted for Lichtenstein 39-12 and Hamburg area team 24-12 before being knocked out by a local Munich club 24-12 in the quarter finals,” said Dave. 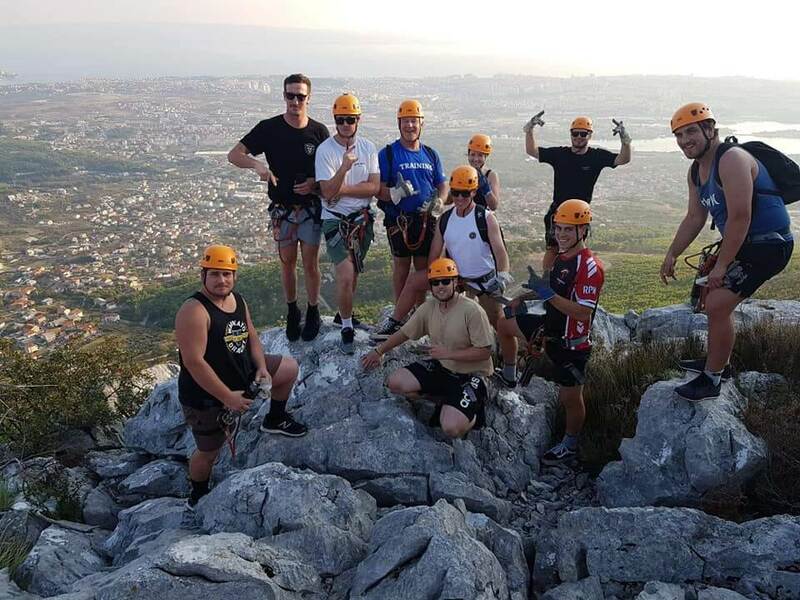 The players enjoyed a couple of days at the Oktoberfest before heading to Split, Croatia’s second-largest city, for a well-earned holiday where they enjoyed ziplining, sea cruising, snorkelling and a visit to the Krka National Park. Then it was on to London for a quick catch up with old mates before the long flight back to New Zealand.